Sontek SL500 - NexSens Technology Inc. IMPORTANT: Review the manufacturer’s manual for the sensor to ensure that the sensor is properly configured for integration with a third party data logger prior to connecting the device to the iSIC. 1. Route cables and wires through one of the gland fittings installed on the iSIC enclosure. 2. Unplug the green terminal strip from the iSIC before inserting sensor wiring. The left terminal strip is designated for digital inputs (RS-485, RS-232, SDI-12, etc.) ; the right for analog inputs (mV, 4-20 mA, etc.). 3. Connect the sensor wires to the terminal strip as shown in the diagram below. IMPORTANT: Verify that no wires are loose or clamped on the insulation as this will cause intermittent or failed communication. Seal and caulk the gland fitting to prevent moisture intrusion and maintain the NEMA4X rating of the iSIC enclosure. Figure 1: Wiring a Sontek SL500 into an iSIC Data Logger. 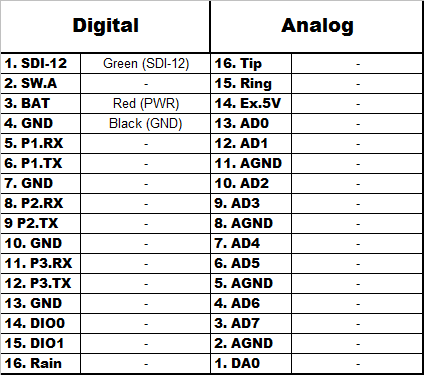 Figure 2: Table for wiring a Sontek SL500 to an iSIC Data Logger. 4. Add the Device through the iChart Setup Device Wizard, and refer to the iChart Knowledge Base for additional information and troubleshooting.